In October 1942 the 8th RM Battalion was disbanded and those who volunteered for, and passed the training, formed a new 41RM Commando. The Commando saw service in WW2 at Sicily and Salerno, Normandy and Walcheren, and the advance through Holland into West Germany. 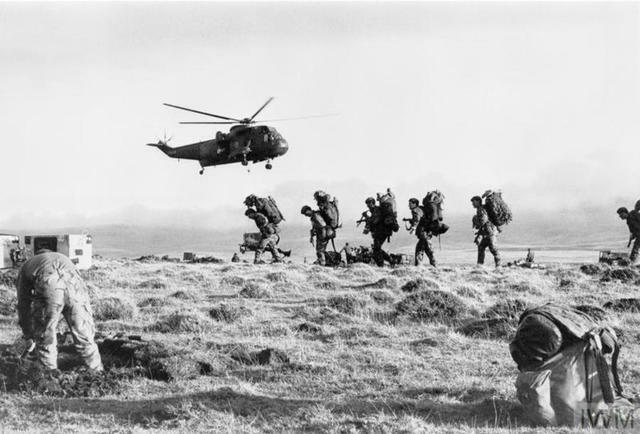 At the end of the war 41 RM Commando was disbanded. Extract from Hansards of part of a reply by to a Parliamentary question in the House of Commons on Royal Marine Commando Operations in Korea. HC Deb 13 December 1950 vol 482 cc1143-6. Marine Gerard Ahern died whilst a prisoner of war in Korea. Marine Arthur Aldrich was captured near Wonsan in August 1951. He died in Pak's Palace POW Camp, Korea. Corporal Ronald Babb died  in the Korean war during a raid on the night of 6th/7th October, when two troops of the Commando landed under the command of Major D. L. St. M. Aldridge, R.M., at Churonjang. A rail and road tunnel was blown up with two tons of explosive and completely blocked  . Acting Quartermaster Sergeant James Baines B.E.M. was awarded the M.M. during the Korean war for gallant and distinguished service with 41 Independent Commando, Royal Marines, in operations in Korea. .
Corporal Roy Baker, 41 Independent Commando RM, was awarded the Bronze Star with Combat 'V' decoration bestowed by the President of the United States of America, for gallant and distinguished services during operations in the Korean war. Sergeant Charles Barnes died during operations at Hodo Pando, Korea. He received a MiD during the Korean war for gallant and distinguished service with 41 Independent Commando, Royal Marines, in operations in Korea. 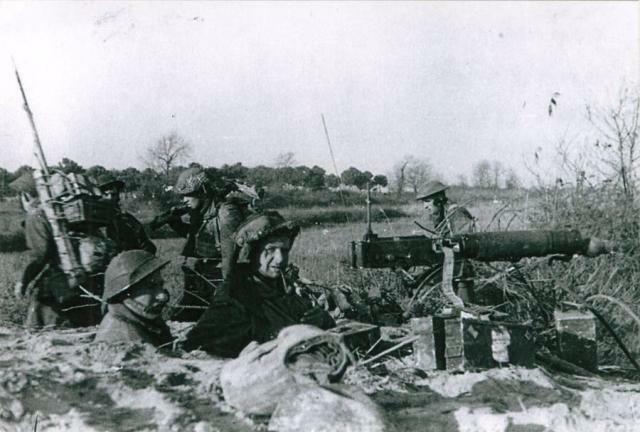 In 1951 Pierre Beauprez , who had served in 4 Belgian troop of No 10 (IA) Commando in WW2, was killed through the explosion of a mine as he was conducting a Patrol on the North bank of the River Han during the Korean War. Read more about BEAUPREZ, Pierre, F.
Marine George Bramble was awarded the M.M. during the Korean war for gallant and distinguished service in operations in Korea. . He later also received a MiD for distinguished service in operations in Korean waters. .
 London Gazettes Supp. 39660, page 5208. Corporal Ronald Davies was accidentally killed by ROK soldiers at Haguro-Ri, Korea. 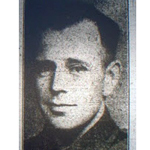 Sergeant Roy Dodds was awarded the M.M. for gallant and distinguished services in Palestine during the period 27th March, 1948 - 30th July, 1948. . He later served in the Korean war as Quartermaster Sergeant with 41 Independent Commando RM, and was awarded the D.S.M. for distinguished service in operations in Korean waters. . Lieutenant David Ford received a MiD during the Korean war for distinguished service in operations in Korean waters. Leading Seaman Arthur Futcher received a MiD during the Korean war for gallant and distinguished service with 41 Independent Commando, Royal Marines, in operations in Korea. Marine Ivan Garner died during operations in Korea. Marine John Graham died during operations in Korea. Major Ferris Grant, 41 Independent Commando RM, was awarded the Legion of Merit, Degree of Officer, decoration bestowed by the President of the United States of America, for gallant and distinguished services during operations in the Korean war. In H.M. The Queen's birthday honours of January 1967 the then Major General Ferris Nelson Grant was appointed C.B. London Gazettes Supp. 44210, page 2. Quartermaster Sergeant Charles Hambleton, 41 Independent Commando RM, was awarded the Bronze Star with Combat 'V' decoration bestowed by the President of the United States of America, for gallant and distinguished services during operations in the Korean war. Marine Arthur Harper was awarded the M.M. during the Korean war for gallant and distinguished service with 41 Independent Commando, Royal Marines, in operations in Korea. 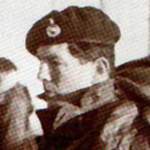 Lieutenant John Harwood died during operations in Korea. He is shown on the AFM ROH as buried at Tui Bong Cemetery, Yo-Do Island, Wonsan Harbour, Korea. His name is also on the memorial plaque at Pusan. Marine Lewis Heard died of dysentery while a POW at Camp 10 Kaggye, Korea. Corporal Christopher Hill died whilst a Prisoner of War in Korea. Marine Stanley Hills died whilst a prisoner of war in Korea. 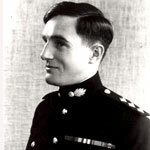 Marine Malcolm Hine was awarded the M.M. during the Korean war for gallant and distinguished service with 41 Independent Commando, Royal Marines, in operations in Korea. The exact circumstances of the death of Marine Keith Hitchman are not known to this archive. Marine William Jauncey died during operations in Korea. Marine Peter Jones died  during an amphibious operational landing from the USS Perch on the coast above Hungnam and west of Tanchon . This raid was against enemy railway communications North East of Shako . Surgeon Lieutenant Douglas Knock was attached to 41 Independent Commando RM at the time of his death in Korea. He was killed whilst the Commando were engaged in operations with US Forces as part of Taskforce Drysdale, named after their Commanding Officer Lieutenant Colonel Douglas B. Drysdale , heading out from Koto-ri in an attempt to relieve allied forces at Hagaru-ri. This was during what later became known as the Battle of Chosin Reservoir. Corporal Henry Langton was awarded the M.M. during the Korean war for gallant and distinguished service with 41 Independent Commando, Royal Marines, in operations in Korea. Marine Arthur Lansdowne, 41 Independent Commando RM, was awarded the Bronze Star with Combat 'V' decoration bestowed by the President of the United States of America, for gallant and distinguished services during operations in the Korean war. Sergeant William Mackay received a MiD during the Korean war for gallant and distinguished service with 41 Independent Commando, Royal Marines, in operations in Korea. Sergeant Joseph Maill, 41 Independent Commando RM, was awarded the Bronze Star with Combat 'V' decoration bestowed by the President of the United States of America, for gallant and distinguished services during operations in the Korean war. Corporal Gersham Maindonald was awarded the M.M. during the Korean war for gallant and distinguished service with 41 Independent Commando, Royal Marines, in operations in Korea. Captain Leslie Marsh, a veteran of service with 40RM Commando in WW2, was awarded the M.C. during the Korean war for gallant and distinguished service in operations in Korea. 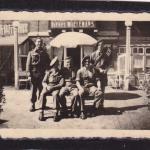 He remained in military service taking part in operations at Borneo, Suez, and Aden. He retired with the rank of Brigadier. Obituary in the Daily Telegraph 25 June 2005. Rifleman Peter McCurrie, a former member of No.6 Commando in WW2, died during operations in Korea serving with the Royal Ulster Rifles. He was a prisoner of war at the time of his death. He is remembered on the UN Memorial Wall at Pusan, and his name is also inscribed on the War Memorial at Frizington, Cumbria. Commando Association newsletter 18 issued March 1954. 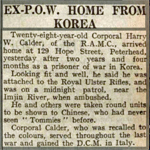 Marine Harry Melling died whilst a prisoner of war in Korea. Marine Robert Needs died whilst a Prisoner of War in Korea. 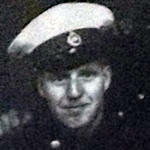 Marine Reuben Nicholls died whilst attempting to escape having been taken Prisoner of War in Korea. REUBEN NICHOLLS RM, 1925-51 Award of the Elizabeth Cross. Marine Reuben Nicholls, an Assault Engineer, was taken prisoner by Chinese forces in the Korean War in 1950. On New Years Day 1951 he wrote a letter to his parents. That was the last they heard from him. Over the next three years correspondence from Government Departments variously indicated that he was alive, dead, and died on this or that date. Lieutenant Denis O'Flaherty, No. 3 Commando 6 troop, was appointed DSO in recognition of gallant and distinguished services in successful combined operations against the enemy at Vaagso and Maaloy on December 27th 1941 . He additionally received a Mention in Despatches during this operation . 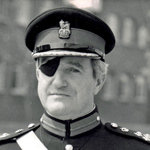 Lt. O'Flaherty was severely wounded during the operation, being shot in his eye, jaw, and neck, after which he was hospitalised for two years . 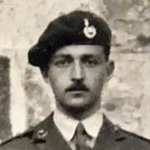 Lieutenant Patrick Ovens served for a period at the CBTC and is shown in a photo entitled "Commando Basic Training Centre - Officers Mess - 1945." He joined 46RM Commando shortly before it was disbanded. Captain Ralph Parkinson-Cumine MC, 'B' troop, was reported missing presumed killed during operations in Korea. Lieutenant Edgar George Derek Pounds was an instructor at the Commando Basic Training Centre in 1945 . Captain Edgar Pounds, 41 Independent Commando RM, was awarded the Bronze Star with Combat 'V' decoration bestowed by the President of the United States of America, for gallant and distinguished services during operations in the Korean war . He later received a MiD for for distinguished services in operations against terrorists in Cyprus serving with 45 Commando RM. . Leading Sick Berth Attendant Denis Raine was attached to 41 Ind. Commando RM at the time of his death in Korea. He had volunteered to accompany Surgeon Lieutenant Knock and was taken prisoner at Chosin . He was killed whilst attempting to escape. Marine Frederick Roberts received a MiD during the Korean war for gallant and distinguished service with 41 Independent Commando, Royal Marines, in operations in Korea. Lieutenant Gerald Roberts received a MiD during the Korean war for gallant and distinguished service with 41 Independent Commando, Royal Marines, in operations in Korea . He was also awarded the Bronze Star Medal bestowed by the President of the United States of America for gallant and distinguished service in Operations in Korea. .
Captain Edward Shuldham was awarded the D.S.O. during the Korean war for distinguished service in operations in Korean waters. Marine Stanley Skelton died whilst a Prisoner of War in Korea. Corporal Ronald Southworth died during operations in Korea. Marine Eric Strain died during operations in Korea. Marine Dennis Stray died during operations in Korea. Acting Petty Officer John Tate received a postumous MiD during the Korean war for "gallant and distinguished service with 41 Independent Commando, Royal Marines, in operations in Korea." In March 1946 Lieutenant Peter Thomas joined 44 Commando in Hong Kong just before it was redesignated as 40 Commando RM . Corporal Derek Torr received a MiD during the Korean war for gallant and distinguished service with 41 Independent Commando, Royal Marines, in operations in Korea. Officer Commanding No 1 Commando 1943 - 1945. 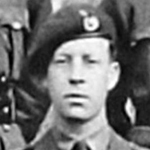 Ken Trevor joined No 1 Commando in 1941. As Captain of 1 troop in 1942 he took part in a raid at St Cecily Plage and the later Operation Torch landings. He received a Mention in Despatches (MiD) in N. Africa. He took over command of No 1 Commando from his cousin Tom Trevor when the Commando sailed to India in 1943. 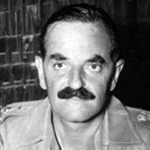 During the campaign in Burma he was awarded the DSO for gallant and distinguished services. 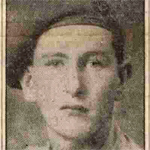 Corporal Charles Trott died during operations in Korea. Marine Richard Twigg was awarded the M.M. during the Korean war for gallant and distinguished service with 41 Independent Commando, Royal Marines, in operations in Korea. Marine Stanley Vardy received a MiD during the Korean war for gallant and distinguished service with 41 Independent Commando, Royal Marines, in operations in Korea. Marine William Walker died during operations in Korea. Lieutenant John Walter was awarded the D.S.C. during the Korean war for distinguished service in operations in Korean waters. Sergeant John 'Jack' Whiting, 41 Independent Commando RM, was awarded the Bronze Star with Combat 'V' decoration bestowed by the President of the United States of America, for gallant and distinguished services during operations in the Korean war. Marine Royston Wooldridge died during operations in Korea. Marine Kenneth Wyeth died wilst a prisoner of War having been captured during operations at Chosin on the 29th November 1950.